On the Eastern Shore autumn farms are full of bright pumpkins. The farmers markets are full of them from outdoor giants to tabletop and pie pumpkins. I decided to create a design set based on the familiar gourds. 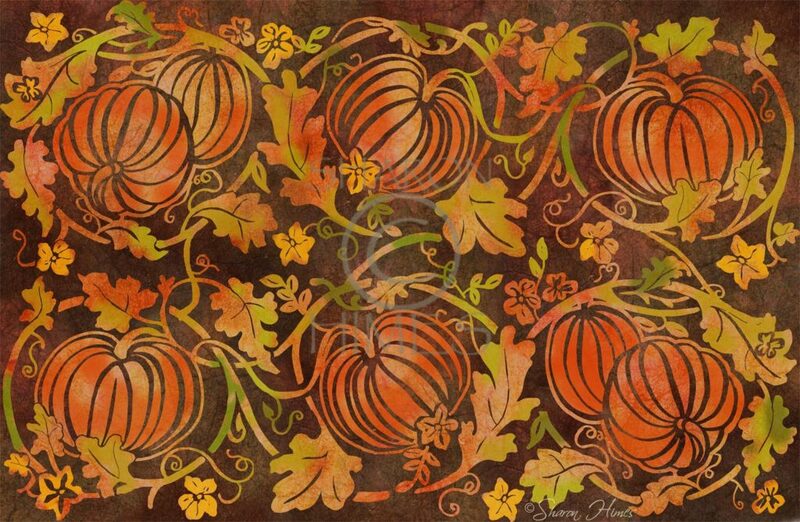 ‘Pumpkin Patch’ was created from a combination of paint and pixels that may one day become fabric, paper or other products.